Once The Potion is complete, all you need to do is sit back and watch it work its magic. "You have a number of decisions to make. 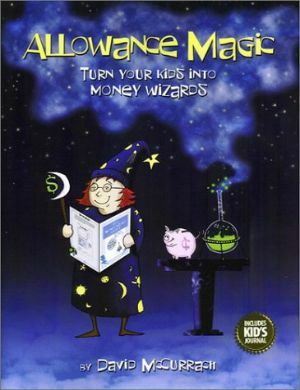 Collectively, they formulate The Potion you use to create your very own Allowance Magic. Your potion is a unique combination of allowance features and responsibilities. The exact formulation varies from family to family and from child to child. It takes into account your values as well as the individual needs and capabilities of each of your children." The amounts and frequencies of each allowance. What kind of transfers they'll allow. Which type of savings will be matched. At what rate savings will be matched. Whether or not they'll make advances. When they'll next review the program. The date The Potion is determined.